In theory the WR250X is a perfect funky first bike – lightweight, funky looks and an all-new design should spell big fun. But it doesn’t – the Yamaha is badly let down by it’s chassis, which is unforgivable given the astronomic price. Spend £400 in the same showroom and you’ll get a Yamaha MT-03 – a bike with fantastic handling, a faster motor and more equipment. Yet the barely-cheaper WR250X is barely capable of rounding a corner without the over-soft, long travel suspension pitching back and forth making the whole motorcycle feel like it’s heading for the hedge. Decent Bridgestone BT-090 tyres are the only thing keeping you upright. The Yamaha WR250X is certainly perky enough given its small capacity – the modern water-cooled engine is derived from the YZ-F motocross range. 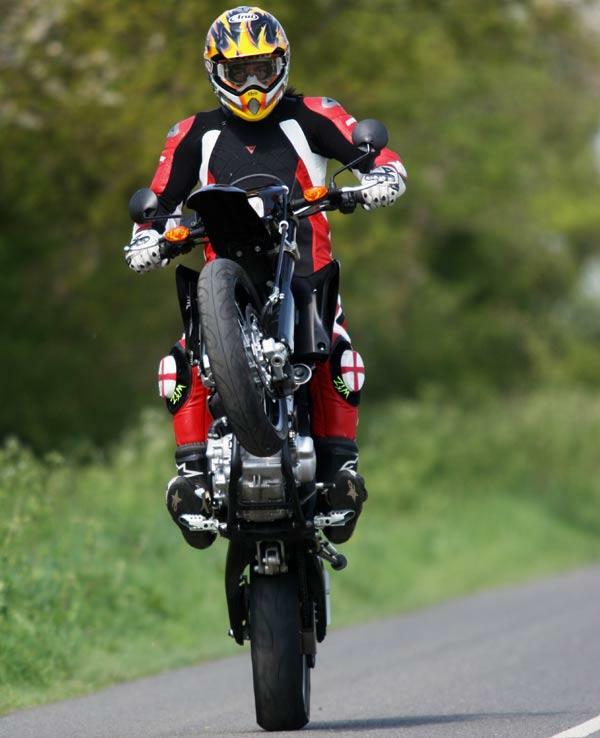 Even a rider stepping up from a 125 would tire of the lack of speed – little more than 80mph is available. Stick to town and the short gearing is handy for slicing through traffic. Open roads are a bore though. The Yamaha WR250X is nicely put together – the alloy frame and cycle parts look great, and the whole motorcycle is well styled. The understressed engine shouldn’t give any problems, but as with any small-capacity single it’ll be worth keeping an eye on the oil level – small engines, with low oil capacity that get thrashed can easily run out of oil. You should expect more for the money. There’s a wavy brake disc and a Brembo calliper (only a cheap two-piston sliding affair), Excel wheel rims and a digital dash with basic information, but that’s it. The seat is uncomfortable, there’s no wind protection or even basic storage space and the cycle parts lack the adjustability to tune out the unacceptable handling deficiencies. Compare and buy parts for the Yamaha WR250X in the MCN Shop. Year: 2008 – New model. Yamaha WR250R – Uses the same major components, but with wheels and brakes suited to off-road riding. £200 cheaper, but there are still better value lightweight trailies out there. 12 owners have reviewed their YAMAHA WR250X (2008-on) and rated it in a number of areas. Read what they have to say and what they like and dislike about the bike below. Just brilliant to ride and VERY well made. I have been riding for 35 years and this bike probably gave me the most fun. Not the fastest by any means but for the real world perfect (if you don't carry luggage or pillions any distance). Proves that you never stop learning how to ride better. MCN suspension comments??? Multi-adjustable and brilliant for my 14 stone. 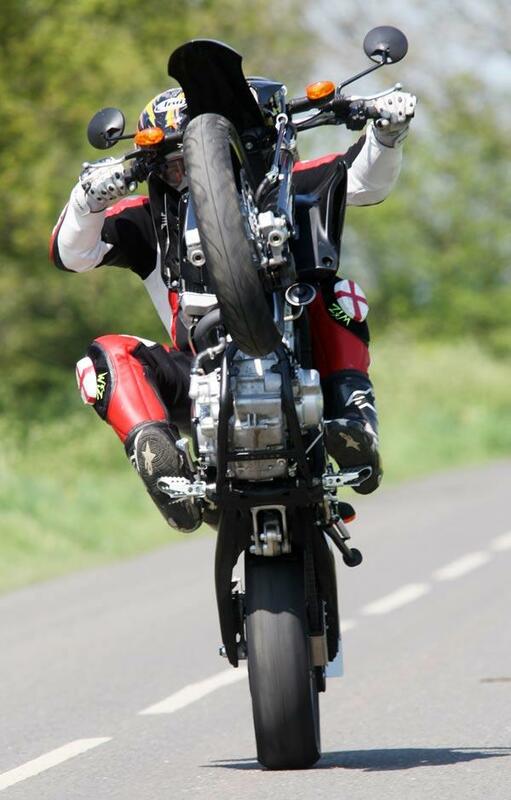 Stand on the pegs and demolish speed bumps like they're not there. Not wallowey just firmly plush. No change in performance in 16000 miles. Brakes very good too. Yes it is only a 250 but a strong motor that will cruise at 80mph on the motorway and seems unburstable. Quality is top notch, going some way to explain the high price tag. I had no reliaibility problems with mine and it was used pretty well every day. Good value for the fun level, clearly not 125 commuter territory though. 65mpg and a rear tyre every £500 - £600 including tyres. More if a valve service is required but that's every 24000 miles.7000 miles or so. 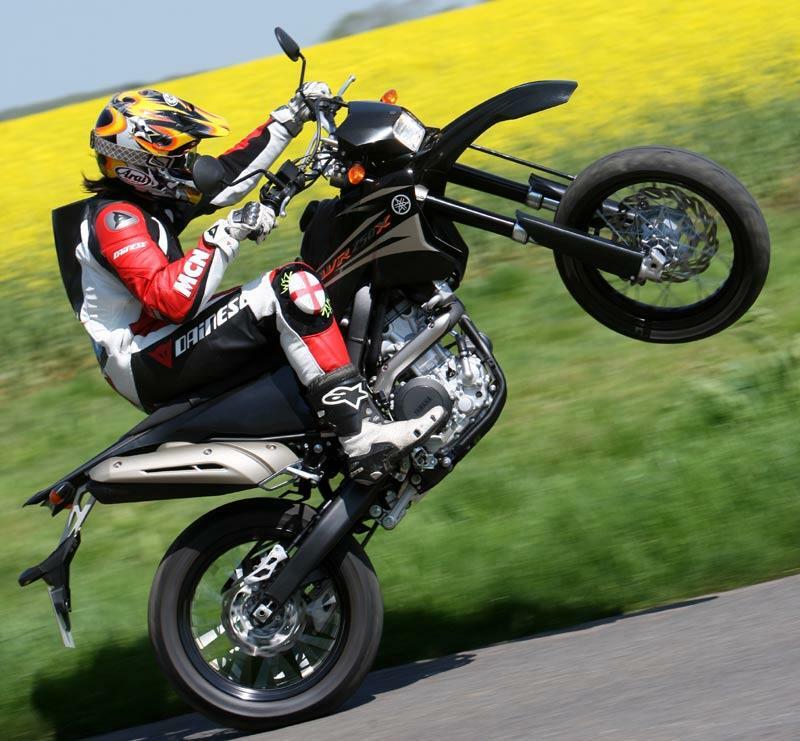 Yes, a bit sparse but it's a supermoto. 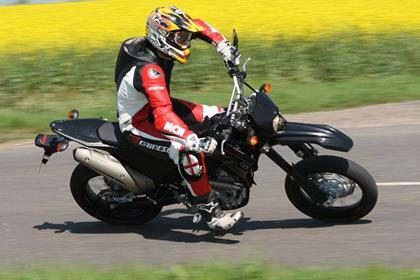 An indestructible super moto with precise handling and excellent throttle response. Does exactly what is was designed for and much more. Enough to keep anyone entertained while still remaining usable. Handles like a BMX on steroids. Seat is narrow so don’t expect to spend all day in comfort but no one buys a 250cc super moto for cruising. Engine not derived from YZ-F. Fuel injection, titanium intake valves, high lift cams, liquid cooled, ceramic-plated cylinder and forged piston. Never burns a drop of oil or misses a beat. This is one of Yamahas strongest engines. 45,000 playful, if not abusive, miles and replaced nothing but consumables. Has all you need but some may like a gear indicator and fuel gauge. 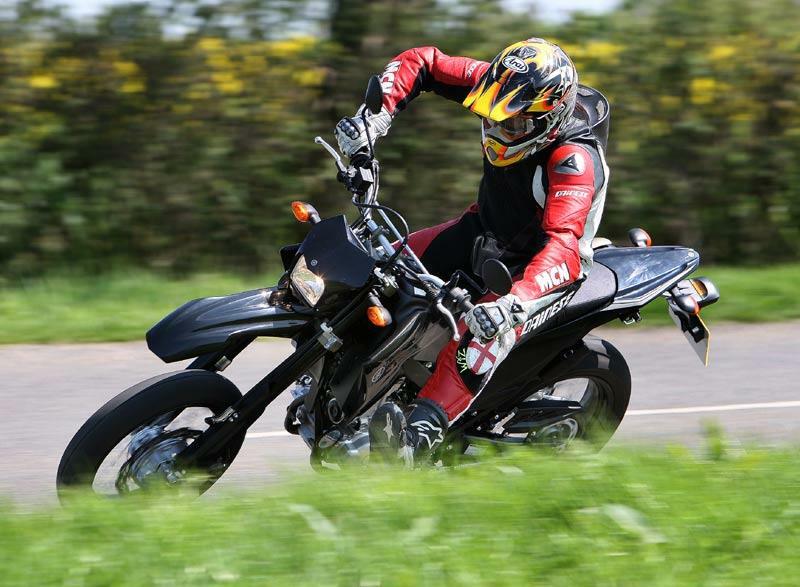 This is the lightest, most reliable, economical, most hi-tech supermoto money can buy. High maintenance race engines that require valve checks and oil changes every 1k miles you will not find a quicker 250cc supermoto. I've only been riding motorcycles a couple years and I scrape the foot pegs and have no chicken strips left. It helped me become a much better rider and I've been able to use what I've learned on my other bigger bikes. The bike is light and the brakes work good, they are larger than on the wr250r. It's the most comfortable bike I've ever ridden, can go a very long time without getting sore due to the very upright riding position. It was also surprisingly good with a pillion due to the legroom, torque, and upright riding position. The engine is great and revs high for a 1 cylinder. My only issue was that the older model cam chain tensioners can lose oil pressure when sitting causing chain noise on first few seconds of startup until it builds pressure, was also an issue on the R1. This was an easy fix with a $30 manual cam chain tensioner or you can replace it with the newer automatic ones. Most never see this problem, I was just unlucky. It's runs a bit lean when stock until it warms up but I blame that on environmental regulations. When I take it apart the quality appears to be near that of the R1. This is not a budget bike. If you're 170-190lbs the suspension is great and fully adjustable besides preload in the front but if you're within that weight range the front sag should be good. I'm 180lbs and I'm very happy with the suspension and see no need to ever upgrade it. If it feels too soft or wallows add some dampening and/or rebound and it will feel very tight around corners. It doesn't appear MCN did this for their review. Valves at 26k miles and oil change every 3k miles. Lower maintenance than most street bikes and far less than most other supermotos. It gets 70+mpg although it does take super unleaded. Had the stock tires when I got it, they were decent. I switched to some Pirelli Diablo Rosso II and they are amazing in hot and in the rain. I kept the skinny stock size rear tire for lower unsprung weight and quicker turn-in. The toolkit is better than most. I cannot believe the audacity of some of the reviews iv'e read. Coming from an owner of the 2008 wr250x model 3450 km it is one of the best sophisticated machines i've ever ridden in my life. I'll call MCN out right now for being racist xenophobes. If this bike was European they would have heralded it greatly. But because it's Japanese, they give it such low ratings and misleading statistics. I have a Q4 FMF pipe, FMF programmer, and no other mods and can get 143 km/hr top speed. It is totally maintenance free unlike something like a KTM, or Ducati. Just change the oil. 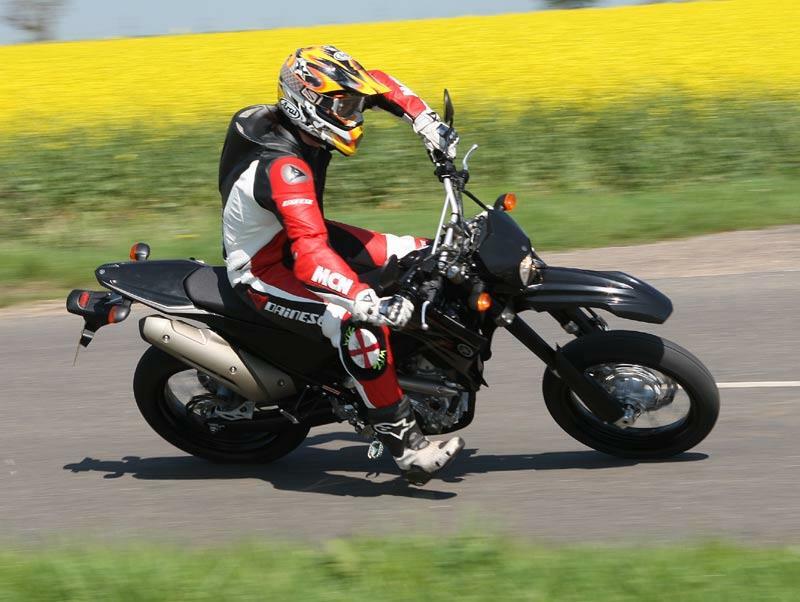 Then MCN turns around and gives stellar ratings to something dangerously underpowered like a Derbi DRD 125. Hey MCN, in case you don't know, World War II ended almost 70 years ago. Get over the hating! 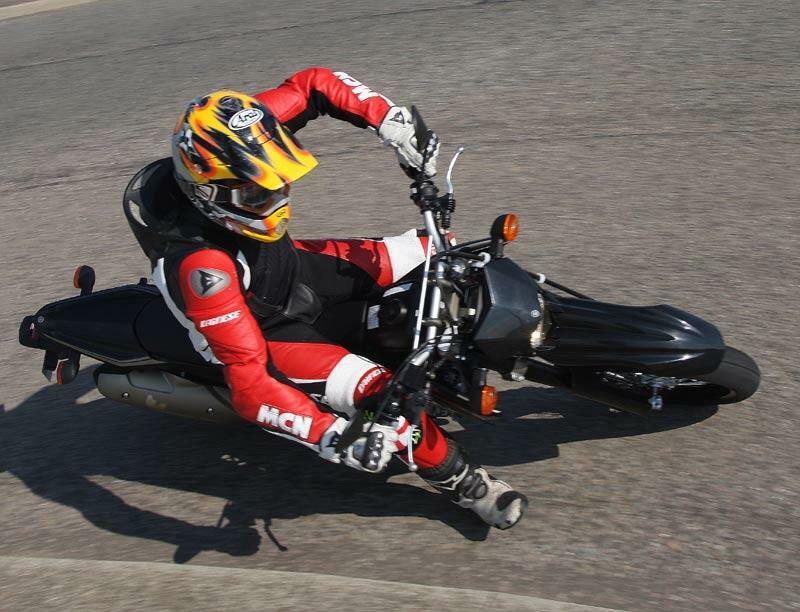 do mcn ride the bikes they reveiw? i have the x version, also i have a set of sm pro dirt wheels with lower gearing. so any bike that can go round elsworth moto park in the intermediate class with dirt wheels on has got to be good. 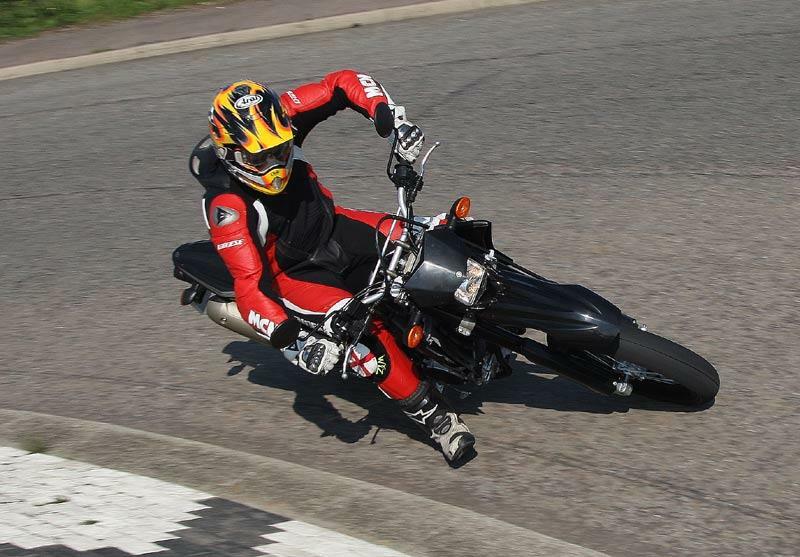 then put the sumo wheels on and out handle my mates monster. you are welcome to test my bike if you want. i dont think your review is fair at all. also it does about 85 mpg . 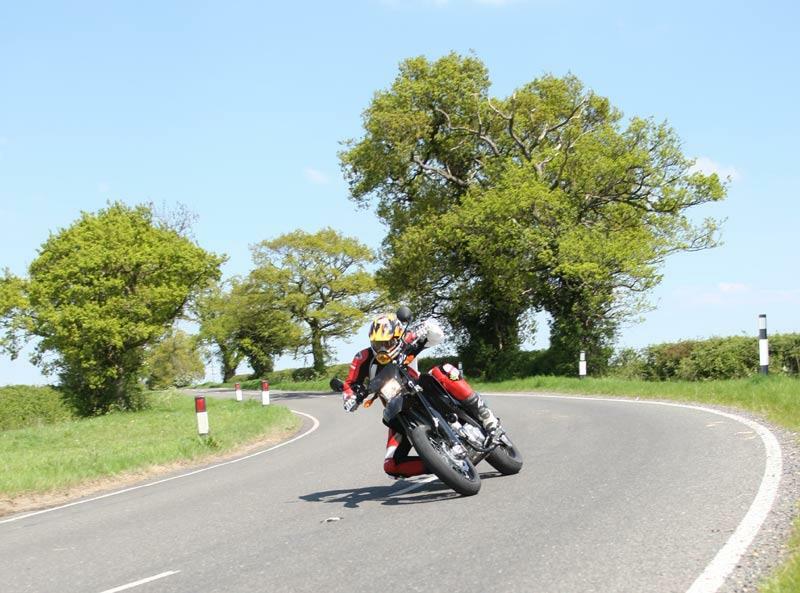 Quite where MCN got 80mph from, I have no idea but they obviosly didn't actualy ride one to the top speed (unless the rider was obease & they went uphill into a 50mph wind). Most 'stock' WR250X's (including mine) are good for 85-90mph. The power is available all through the rev & speed range. Noticably more than a learner restricted 125! Mine has a dep pipe, with air box flap removed & does a genuine 100mph. Handling was a little vague on the stock suspention settings but winding the rear preload up 3mm (I weigh 12 stone) cured all the problems. No chicken strips on my back tyre. It now handles like a dream & out corners all but the very brave. Sub 100mph there is little to beat it. It's very light, under 80 it flicks side to side better than any other bike I have ridden, including a few well known road racers. The super handling is paired with good rubber but this does need to be properly warmed (a few minutes) before you get the best out of it. If you doubt my comments, check out youtube to see footage of this bike being used to great efffect on go cart tracks & at 'handling' comps. MCN score this 2 stars for equipment. The main gripe being the seat. As others have stated, this softens up. For me this was at about 1k, after that, it felt as good as any other low capacity trialer. The controls are basic & functional, what more can you ask for? Quality is top notch & realiability will only be proved with time. The bike is reletively new but since it's inception ('08) has suffered no specific problems other than early models having a 7% low spedo. Aledgedly being set incorrectly, as it reads from the crank & didn't compensate for the difference in gear ratio & tyre/wheel size from the 'R' version. Basicallly you get what you pay for, this is a quality hi-tech bike. It don't come cheap. Of course you can get larger capacity, more powerfull bikes for less money but they are unrefined, heavy & dull in comparison, lacking the tech & quality. 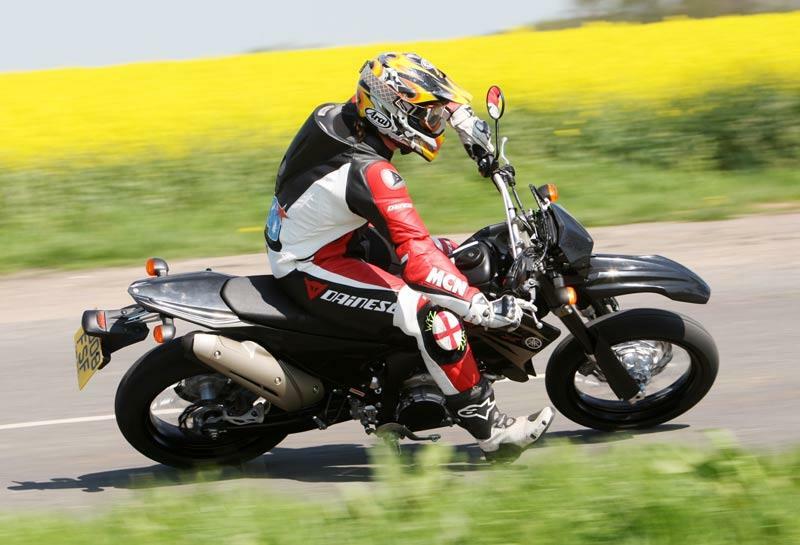 I am unimpressed by MCN's 'ameture' review of this bike. At best it is a 'shallow' & hurried attempt to get 'something' to press. I would have thought they would have taken the time to at least set the suspention up & take it to a suitable location to test the handling & top speed. Their review is ill informed & misleading. I have to say that on the face of this review, I wouldn't trust any other oppinions they put to press. Not a good situation for such a well thought of publication. Cannot think why MCN came to this conclusion about the WR. This bike will get you from A to B with more fun than you could possibly expect. Expensive for a 250, but suspension/drivability easily make up for this. Shame there's no tacho. Little motor needs to be revved, so Yamaha's engineers have hopefully got the reliability sorted out. I would tell anyone reading the MCN review to take with a grain of salt. A very small grain. British reviewers seen to revel in whining, complaining and nitpicking anything that's not from the Commonwealth. British reviewers would complain that Vichy water is too wet and bubbly, or that Italian gelato is too cold. England - the country that thinks stereos with 100 watts is for too much, and the country that has produced more unreliable lemons in motorsport history (they think rusting crap like Coopers and Jaguars are classics!) this side of the Atlantic. Forget this reviewer; the WR250X is tons of fun and rides with the ease and toqueyness of an enduro dirt bike, and sticking to the road like a sport bike. And unlike anything British it's reliable and requires hardly any maintenance. I would also like to regiister my surprise at this review. I know that nearly every bike with a bad review will have some fanboys complaining about it, but seriously, you will be hard pressed to find ANYONE who would criticise the WR250R/X as you have. Even if every other criticism you made was correct, I don't see how you can give the engine 3 stars. This is arguably the best 250 single engine with road-going maintenance intervals ever built. You can't get any better in 2010 for such power with such economy and such low maintenance intervals. The engine is not derived from the YZ-F Motorcross range as you state, it's closest relative is actually the R1 motor... it's basically 1/4 of an R1, same cylinder and stroke, computer as all same diagnostic and error codes. Colloquially this engine is known as the R2. I've gotten mine up to 147km/h (90mph+) and regularly cruise on the freeway at 110km/h (the speed limit), all while getting 32km per litre (i think that's about 77mpg) and having gearing low enough to make it a rocket in suburban traffic. No 250 dual sport has done that, and done that so easily, ever before. Finally, I note your review of the WR125X is glowing, you say that its equipment is good, that the extra price is justified by the quality and low weight. Well, this 250 weighs 2KG less than the 125 wet, if your figure of 137kg in that review is correct, and it has all the same accessories. Did MCN ride this bike? I think not, they must have just sat on it in a shop - The seat was hard for the 1st few hundred miles, I guess they never rode it to find it softens up. I've ridden the WR250X into London for the last 6 months. 80+ mpg, 90+ mph and it gets all the sport bike riders hot and bothered to see a 250cc super moto leave them at the lights, albeit only for the 1st 250 metres :-). The initial short gears and the weight of this bike mean that you can be first away from all but the most determined of sport bike riders. The bike is light and quick to turn. The stock suspension set up is soft, but if MCN had looked at the bike they would have found the suspension fully adjustable both front and rear. Everything except front pre load is changeable without stripping anything down. Filtering through London rush hour traffic is easy, as the bike is well balanced and nimble and the high seat position makes for a commanding view of the road with easy viewing of your blind spots. Highway riding is good up to national speed limits with no issues of rapidly getting to 70+mph quickly but it does get a bit noisy and the speed that the bike turns can make the bike feel very light. I got used to the sensation quite quickly as the bike remains firmly on the road even in the wind. Yamaha Japan does a fly screen which would help but Yamaha UK have no plans to sell it here. 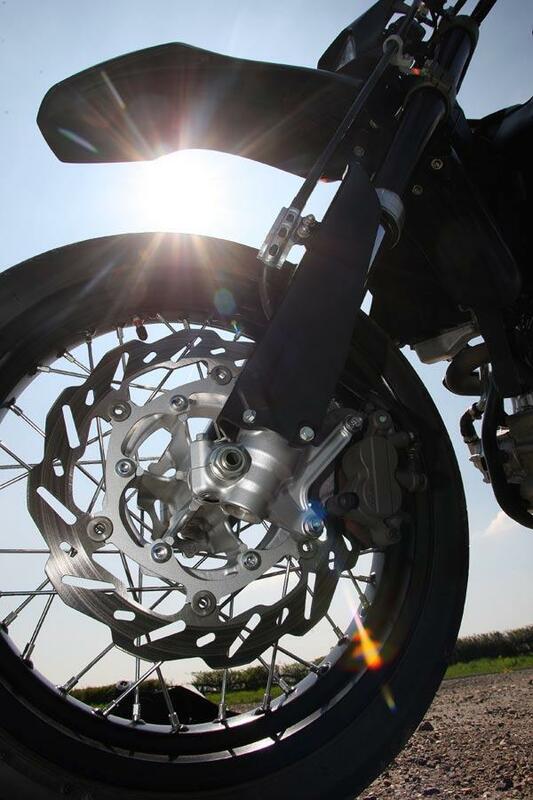 The brakes are strong and responsive and more than ample to stop the bike quickly. The long travel of the front suspension does mean that a level of dip has to be tolerated, some of this can be reduced by adjusting the suspension. It is a super motard after all! The biggest reason that I don't believe that MCN ever rode this bike is they failed to mention the only real gripe that I have with this bike and that is how jumpy the fuel injection is at very low revs. Overcoming this is simple matter of cracking open the throttle, but if you did want to ride slowly and sedately I understand the Power commander will resolve this minor irritation. I've given the bike 5 stars for value as bought the bike new and did not pay anywhere near the list price. Who does these days anyway? I have to say I am totally confused by your slating of this motorcycle. While other reports I have read have not been completely complementary, they certainly think that (taking into account what the bike is) it is a fine motorcycle. By todays standards it has a quality feel and finish with excellant (fully adjustable) forks, brakes, shock etc. The engine is a rev hungry blast and its light weight makes every trip (on the twisties, admitedly) a grin inducing fest of tarmac warping breaking, awesome lean angles and confident power slides. 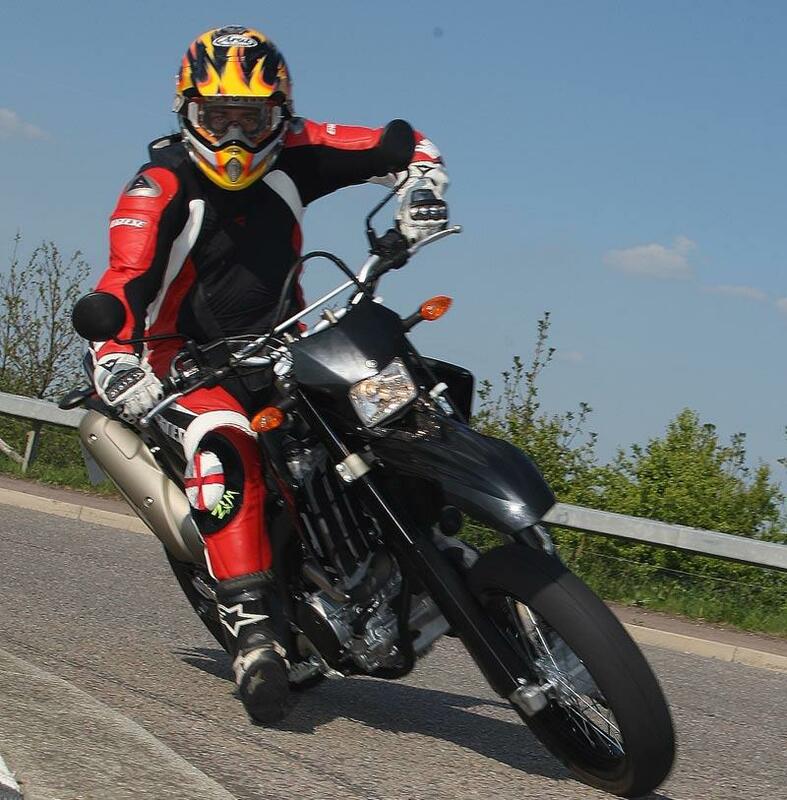 This is around my fourtieth motorcycle of all shapes and sizes with many many more road tested and I have certainly not been dissapointed. Before purchase I was a little concerned about value for money......then I rode a Kawasaki Versys. Fit and finish even by Kawaski standards was poor and the vibes, for a twin, I found totally unacceptable. I was more than happy to pay the very small premium over this bike for for the quality engineering and finish found on the WR.